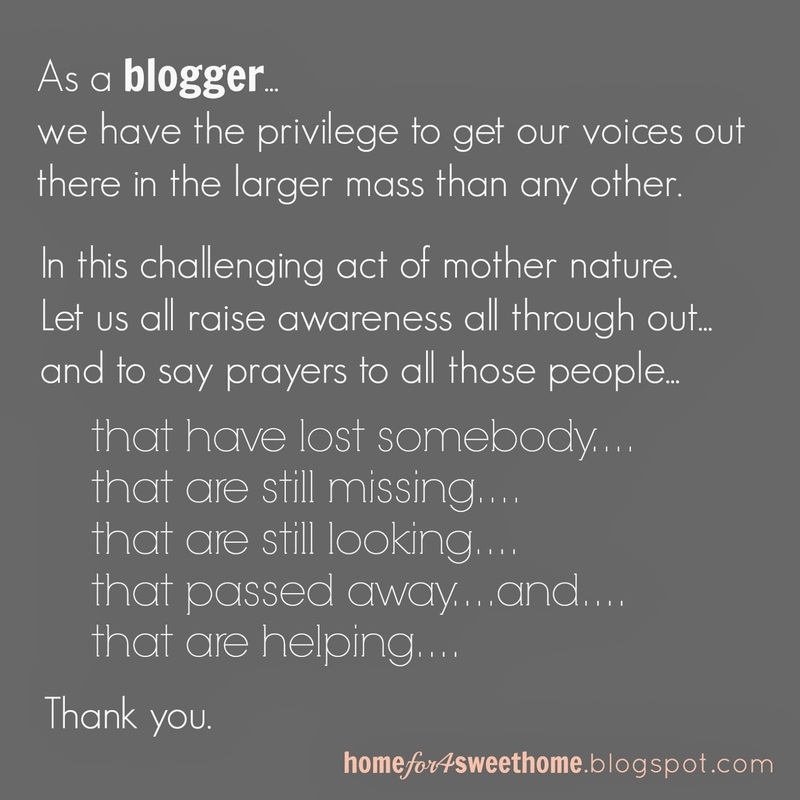 Have you noticed this kitchen rug from my post the other day? 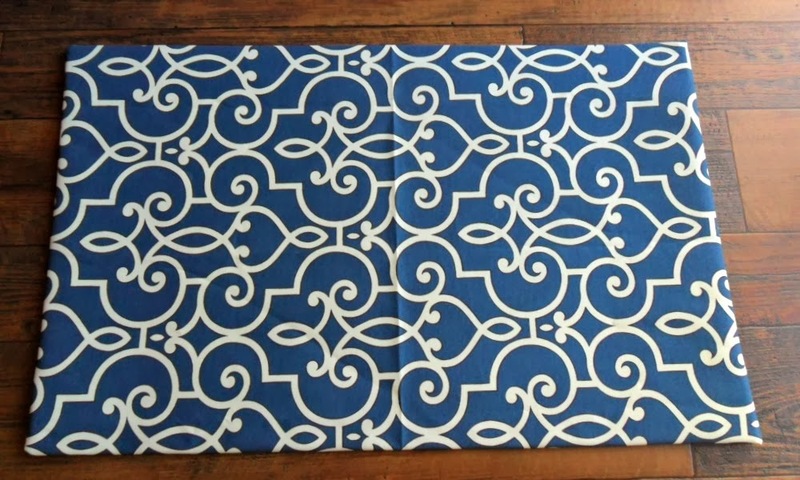 And does that fabric looks familiar? 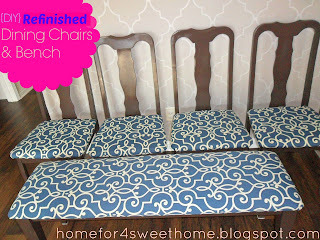 Yeah, that was the leftover fabric that I used to refinish our dining chairs & bench. 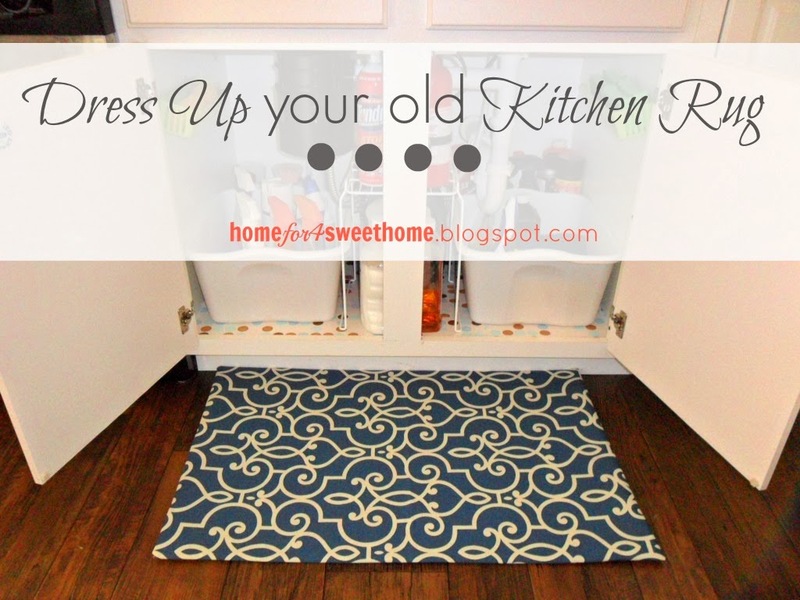 As I was wrapping up with the under the sink cabinet organizing, I noticed our old kitchen rug and thinking of getting a new one. But then I remembered that I have some leftover fabric, so I dress up this old kitchen rug. After about 10 minutes of duct-taping while watching a rerun of Property Brothers, I had this. I did not worry much about the fold line in the middle because I'm pretty sure, that will go away later on. 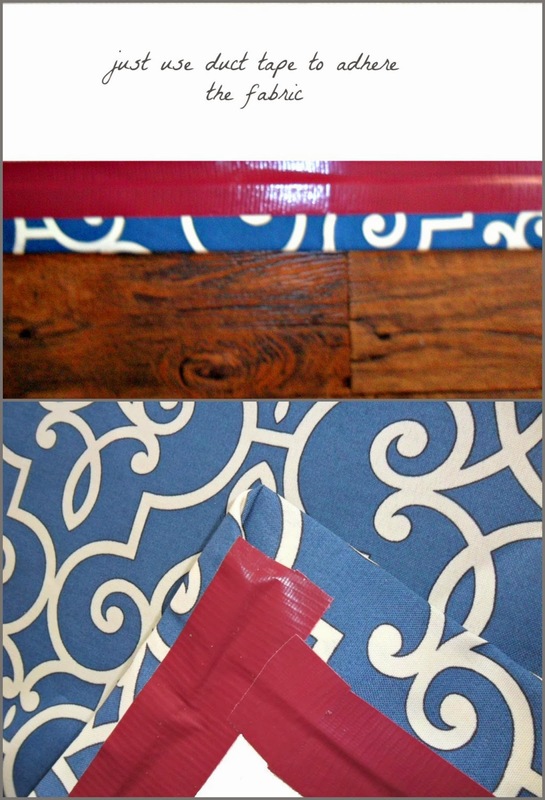 Quick and easy project once again, and an inexpensive way of accessorizing your kitchen. "Out of Respect to the Devastated People of the Philippines"
awesome, thanks for the invitation on my way right now!